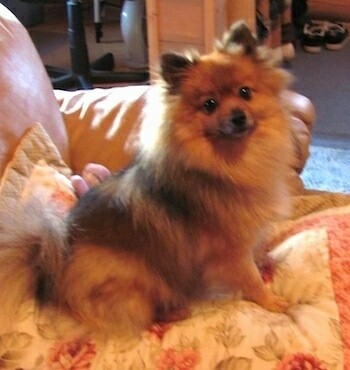 The Pomeranian is a proud, lively little dog. It is intelligent, eager to learn, very loyal to its handler and family. 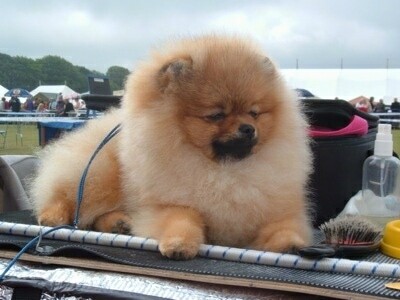 The Pom is a wonderful companion and show dog. The breed's docile temper and affectionate nature endear it to many. 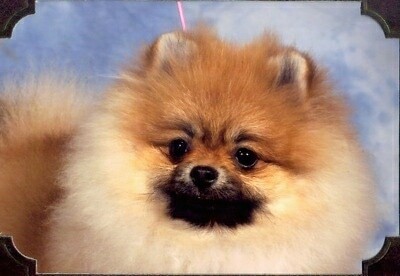 It is alert, inquisitive and active: one of the most independent of the toy breeds, it needs a firm, gentle hand. Its liveliness and spirit make it well-liked by persons who do not usually care for toy dogs. 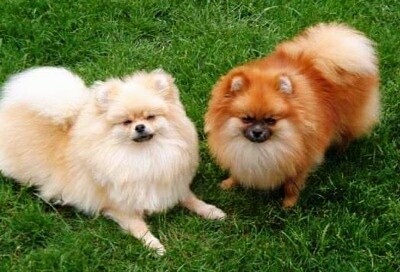 Pomeranians may be picky eaters. If they are properly introduced they usually get along with other dogs and household animals without any problems. Poms make good little watchdogs. Teach this dog early that it may bark a couple of times when the doorbell rings or when there are visitors, but then to keep quiet. Be very consistent about this. 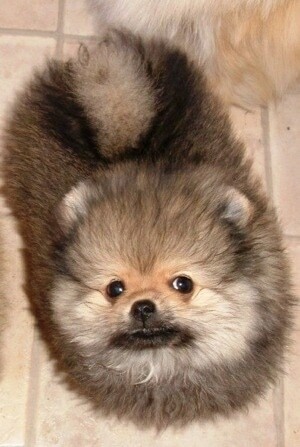 Poms have a delightful nature and do not cling to their handlers. This happy pup is good at learning tricks. 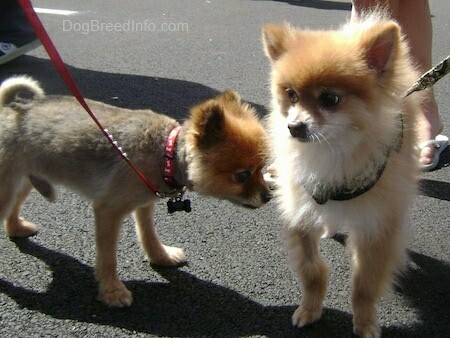 Pomeranians need to see their owners as boss or they will become very demanding. If you allow your dog to tell YOU when and where to do things than you have a potential problem on your hands and you may not even realize it. It is not cute or smart, it's dominance and will lead to bigger problems in the future if it has not already. 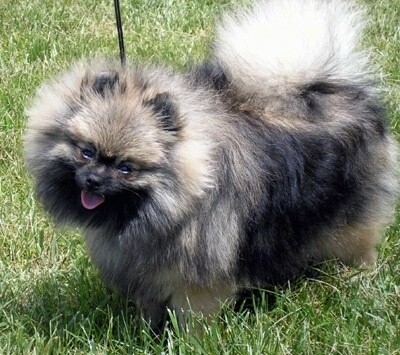 Because of this breeds tiny size and its adorable Ewok-looking face, there are a very high percentage of Poms that fall victim to Small Dog Syndrome, human induced behaviors where the dog believes he is pack leader to humans. 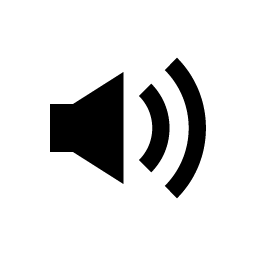 This can cause many varying degrees of behavior problems, which are NOT Pomeranian traits, but behaviors brought on by the way they are treated by the humans around them. Behaviors include, but are not limited to separation anxiety, becoming willful, nervous, bold and sometimes temperamental, not hesitating to attack much bigger dogs. Guarding behaviors and excessive barking as they try and tell THEIR humans what THEY want them to do. They can become reserved with strangers, barking at them excessively, and sometimes growling, snapping and biting. Because most humans treat this tiny canine in such a manner that the dog does not see them as pack leader, they are not recommended for children. 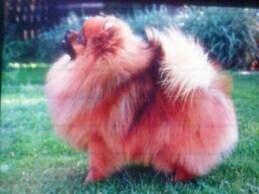 However, if a Pom is given rules to follow, limits as to what it is allowed to do, daily pack walks and a calm, self-assured pack leader who displays confident assertion towards the dog, this can be a well-rounded, mentally stable, trustworthy, wonderful family companion. Because of its size, it can make a good companion for an elderly person. 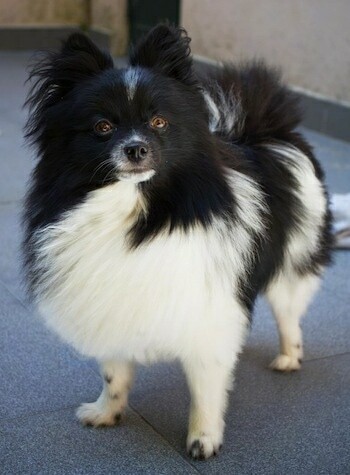 Guri the black and white parti-color Pomeranian at 3 years old—"Guri is very intelligent and caring. He can't stop kissing the ones he loves. He is friendly to other dogs and has a lot of energy. The thing he loves the most is his little ball. He is always the center of attention and he obviously doesn't mind it." 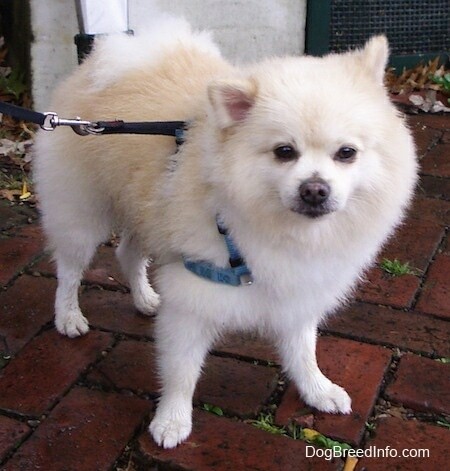 Tucker the Pomeranian— "THANK YOU for all this info. We are having fantastic results in just one day!" 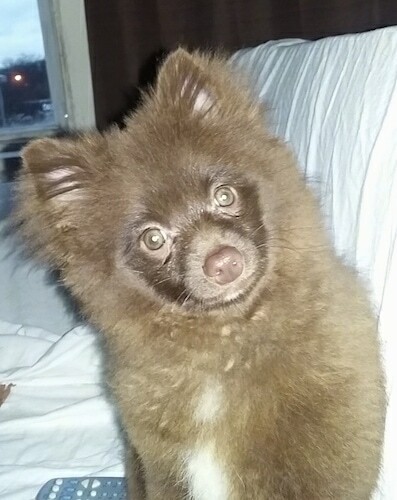 Chewie the brown Pomeranian as a puppy at 4 months old— "Chewie is extremely, entertaining, energetic, intelligent, playful, stubborn, inquisitive and loving. I love him too death." 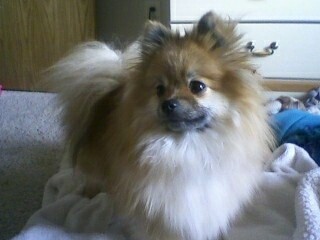 "Izzy or Little Captain Kid Izzy Boy is my 2-year-old Pomeranian. He started off black and dark brown, but is now a beautiful red color. He is currently starting his training for agility. To all the other folks owning this breed, make sure you do take time to groom your dog. I failed to and the area under his tail became very matted." 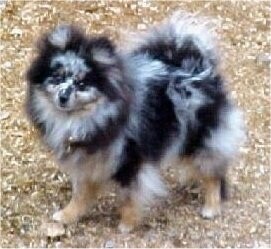 "Jake is a 1-year-old male exotic blue and white parti Pomeranian. I keep his hair cut short due to so much motorcycle riding it tends to tangle and look frayed. Jake is a wonderful, social dog. We use Jake on our Patriot Guard rides to welcome home soldiers who have been overseas and the families who have lost someone in the war. They always seem to remember Jake and his outgoing personality and friendly smile gives them something to remember. Jake is one of four we have. 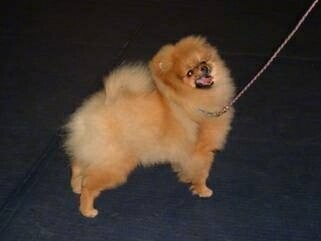 Jake is the leader of a small motorcycle club of dogs who do this type of therapy work called Killer Poms. And yes, they all have their own leather vests they wear while riding." 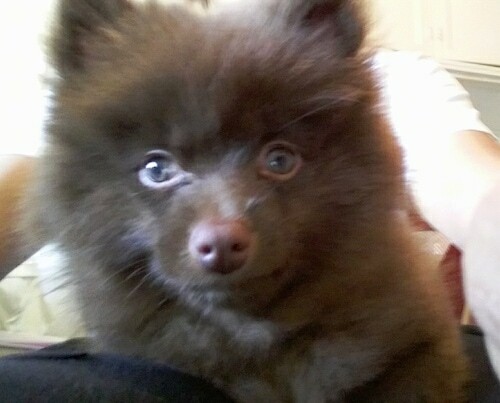 "Kujo the chocolate merle Pomeranian—I took in a rescue Pom and fell in love with him. 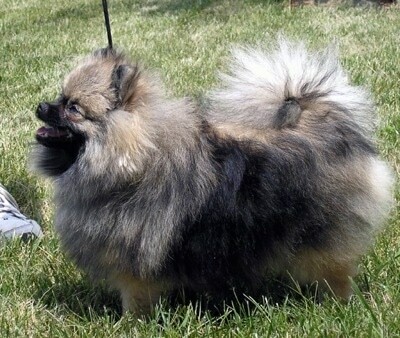 After researching the breed for about a year I decided to find my own Pom. I found this beautiful little man and instantly fell in love. I kept watch of the site and started researching the breeder. After about a month of conversing with the breeder I knew that this little guy was perfect for me. He is 10 weeks in this picture and I absolutely love him. He is full of life, very playful, loving and very smart. Although he is not a yappy dog, he always sits before he barks, he has great manners. Another quirky habit he has is that he loves lying on the air vent when it comes on, he looks very Monroe-like with his fur blowing about." "This is Gizmo, Kujo's brother. 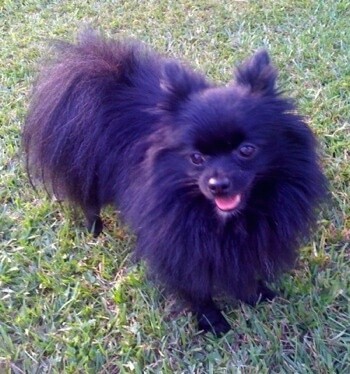 He is a purebred black mismark Pomeranian. He is my rescue Pom and one of the reasons I fell in love with the breed. Shown here at 2 years old and weighing 5 lbs. He and Kujo are two peas in a pod."